This will prevent Anusha from sending you messages, friend request or from viewing your profile. They will not be notified. Comments on discussion boards from them will be hidden by default. Sign in to Goodreads to learn more about Anusha. We’d love your help. Let us know what’s wrong with this preview of Girl in the Dark by Anna Lyndsey. Oddly Normal is our aptly named lead. She is a middle school girl and happens to be a half witch, which doesn't help her make friends. Being a single issue, this book pretty much just introduces the characters before ending with a cliffhanger-ish sce Oddly Normal is our aptly named lead. She is a middle school girl and happens to be a half witch, which doesn't help her make friends. Being a single issue, this book pretty much just introduces the characters before ending with a cliffhanger-ish scene, but it's still a good read. We’d love your help. Let us know what’s wrong with this preview of Oddly Normal #1 by Otis Frampton. We’d love your help. Let us know what’s wrong with this preview of The Burn Zone by Renee Linnell. We’d love your help. Let us know what’s wrong with this preview of 13 Ways of Looking at a Fat Girl by Mona Awad. We’d love your help. Let us know what’s wrong with this preview of Blogging by Isaac Kronenberg. 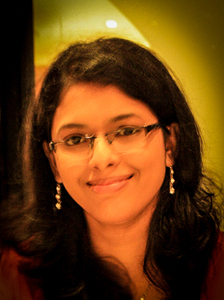 Anusha Narasimhan has read 8 of 52 books. Anusha Narasimhan read 28 books of her goal of 20! Anusha Narasimhan read 271 books of her goal of 200! Anusha Narasimhan read 218 books of her goal of 150! Anusha Narasimhan read 115 books of her goal of 30! Take a look at Anusha’s Year in Books. The good, the bad, the long, the short—it’s all here.